Larger Than Life is Georgian-Russian artist Zurab Tsereteli’s first major solo retrospective in the UK, working with Hervé Mikaeloff at Saatchi Gallery, London. Born in 1934 in Tbilisi, Georgia, 2019 marks the 85th anniversary of the artist’s birth. On view are paintings, sculptures, and enamels spanning his early years to the present alongside archival video footage that documents the artist’s life and work. 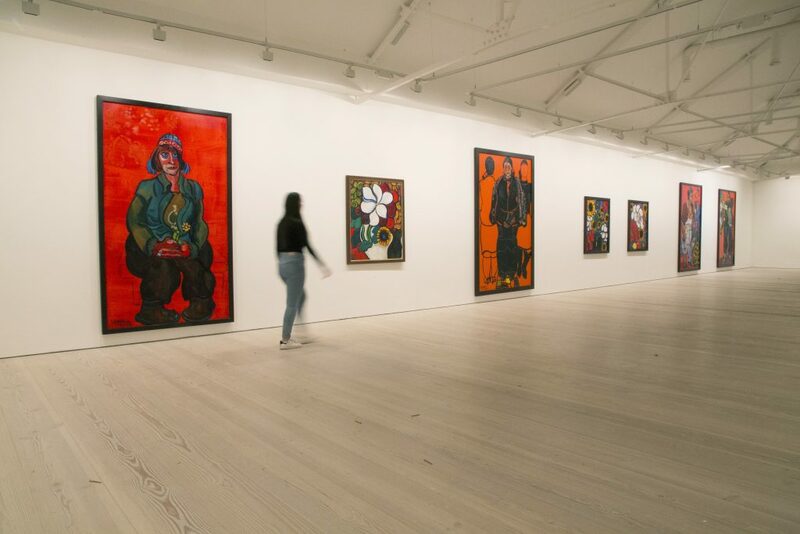 Presenting works across an entire floor of the Saatchi Gallery, Larger Than Life will showcase the hugely varied creative output of Tsereteli’s prolific career, including works influenced from past meetings and relationships with influential Masters such as Chagall, Picasso, and Rauschenberg. With an expansive practice encompassing painting, sculpture, and architecture, Tsereteli is an artist whose work is omnipresent across Russia and internationally. 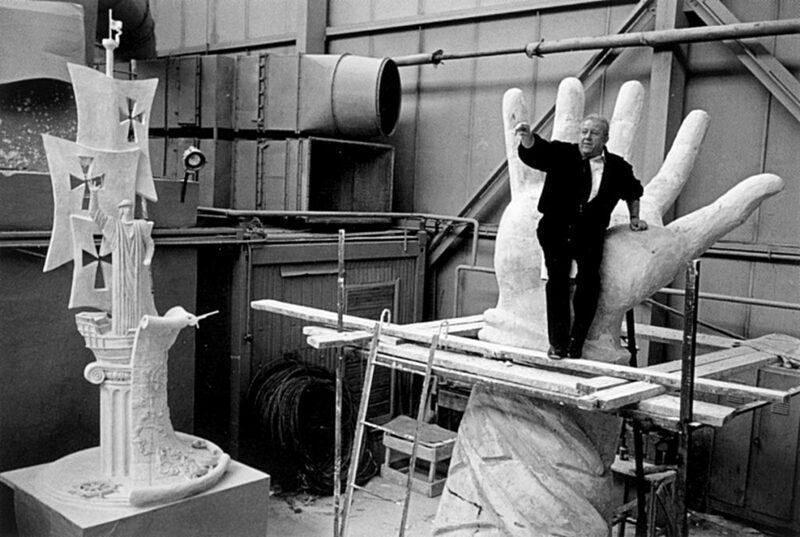 He is widely known for his striking, large-scale public monuments which can be seen in numerous cities including London, Moscow, New York, Paris, Rome and Tokyo. Recognised for breaking artistic convention during the Soviet period and beyond, alongside maintaining his own artistic practice, Tsereteli is the founder of Moscow Museum of Modern Art (MMOMA), president of the Russian Academy of Arts and a goodwill ambassador for UNESCO, under which he brought Mother Teresa to Georgia in 1989 to create a permanent place for her Missionaries of Charity in Tbilisi. He was awarded the ‘Honored Artist of Georgia’ title in 1967 and France’s highest recognition, a Legion of Honour, in 2010. Monumentality is central to Tsereteli’s sculptures, evident in his international public commissions created in a monumental expressionist style, creatively driven by the artist’s belief in the importance of total freedom in art. Growing up in Soviet Georgia, Tsereteli was educated working in bronze, stone, glass, wood, enamel and mosaics, but it wasn’t until the late 1960s that he began to gain widespread recognition and public commissions. Tsereteli’s combination of monumentalist visions alongside childhood fairytales and dreams, as well as archaeological and ethnographical symbolism and a powerful creative drive, stood him apart from his peers, especially as the cultural climate in the USSR shifted towards a freer form of expression. Tsereteli has divided his time between studios in his native Tbilisi, Moscow, Paris and New York, with each location leaving discernible influences on his practice. The experience of meeting masters Picasso and Chagall during his time in Paris in 1946 changed his understanding of what it means to create; he was inspired by how freely these artists shifted between painting and drawing to ceramics and sculpture. Picasso’s influence is clear in Tsereteli’s Inessa (1968), painted shortly after visiting the artist’s studio in Paris. Tsereteli’s renowned sculpture My Favourite Artists (2009) is a depiction of Picasso, Modigliani, Chagall, Matisse and Van Gogh, which followed his 2008 sculpture of Niko Pirosmani and Henri Rousseau. Characteristics of Russian abstract expressionist artists such as Kandinsky and Malevich can also been seen in Tsereteli’s rich colour palettes of reds and blues. Tsereteli was also impacted by his great friendship with Robert Rauschenberg, having painted together a portrait of Russian artist Aidan Salakhova entitled I Done Aidan, created when Rauschenberg visited Georgia and Russia between 1987 and 1988. His craft remains positioned within Modernist Expressionism, alongside artists such as Fernando Botero, Arnaldo Pomodoro and Georg Baselitz. Zurab Tsereteli was born in Tbilisi, Georgia, in 1934 and graduated from the Tbilisi State Academy of Arts in 1958. Solo exhibitions include: the New Manege, Moscow (1998 and 2004); the UNESCO headquarters, Paris (2007), Museo di San Salvatore, Rome (2011), the Palace of Gran Guardia, Verona (2016) and the Palais des Festivals et des Congrès, Cannes (2017). In 1995, Tsereteli established the Moscow Museum of Modern Art, officially opened in 1999 as the first state museum in Russia entirely dedicated to modern and contemporary art. In 1997, Tsereteli was elected the President of the Russian Academy of Arts. In 2001, the Gallery of Arts of Zurab Tsereteli was opened in Moscow as part of the Russian Academy of Arts, and in 2012, Zurab founded the Museum of Modern Art in Tbilisi. Tsereteli will have solo exhibitions in Baku, Paris and Liechtenstein throughout 2019. Accompanying this exhibition, the catalogue to Larger Than Life provides a greater comprehension of the prolific life and career of Zurab Tsereteli, including works not in the exhibition and further insight into the inspiring meetings and relationships which moulded his craft. Text by Hervé Mikaeloff. This entry was posted in EXHIBITIONS and tagged Hervé Mikaeloff, Zurab Tsereteli. Bookmark the permalink.